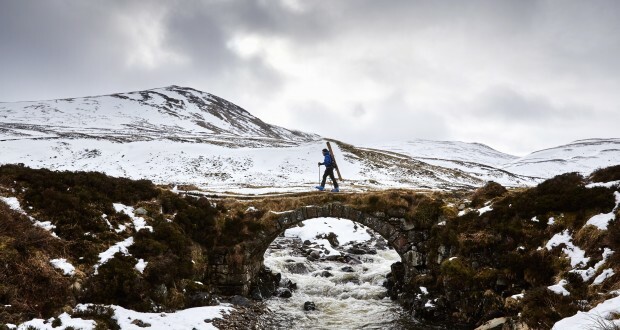 Britain is fast becoming a country with a ski industry. 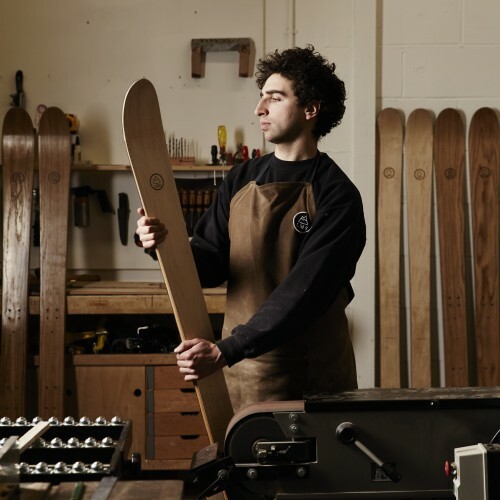 With small firms all over the country involved in making ski wear such as hats, gloves, ski thermals and other accessories, they have been joined by two young men making their own “green” skis. Rupert Gammond, from Worcestershire, is turning out high-quality, hand made bespoke skis and filling his order books at £1,000 a pair. 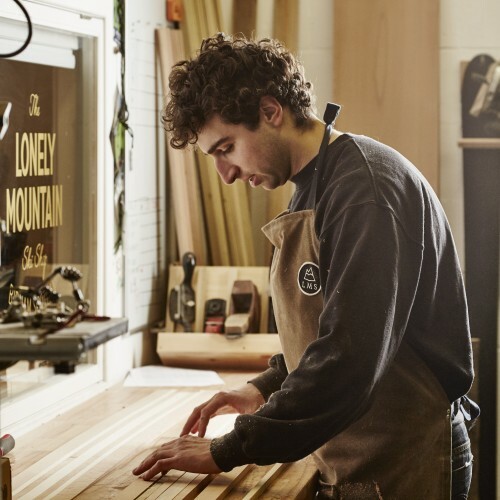 Now we have heard from the Highlands that young Jamie Kunka, from Birnam, Perthshire is making hand-crafted wooden skis from his local workshop. He got the eureka moment when he saw stranded bushcraft expert Ray Mears make a pair from a fallen pine tree, and rescue himself. Said Jamie: “I love how wood is used in design – the likes of Charles and Ray Eames’s bentwood chairs, for example – but for me it’s always been more about designing objects that move. 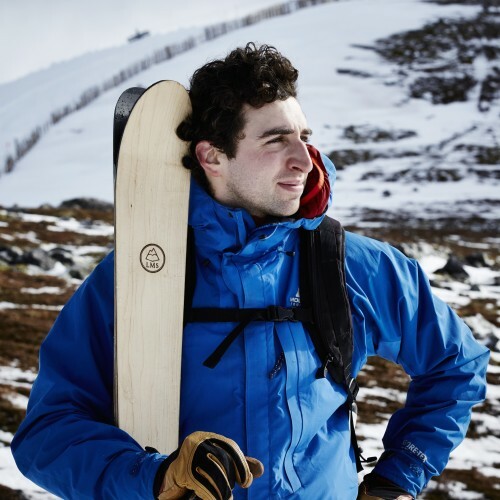 • He decided to create a new version of the traditional wooden ski for his final degree project – one that celebrated natural materials and traditional craftsmanship, but that could also compete with a commercially produced plastic and fibreglass design. 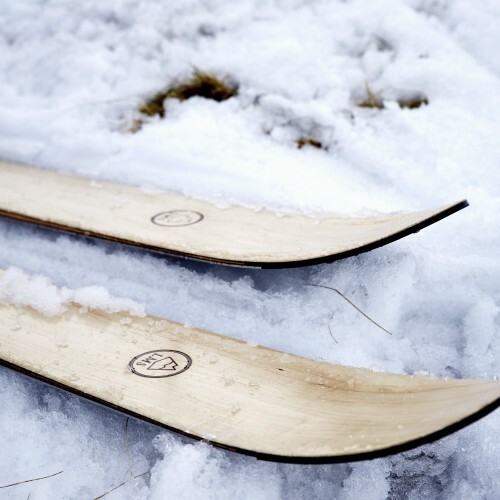 “I’ve been skiing since I was six, and after much testing and trials, I had a design that had moved on from a single plank to three layers of wood sandwiched together. • A ski that was smooth and stable, but also light to carry. “Wood has a really good natural spring that bounces back – you just can’t replicate that in a synthetic version,” he explains, demonstrating with a smooth descent down the hillside, cutting a curved path through the freshly fallen snow. Says Jamie:” I brand on my Lonely Mountain logo then the final coats of varnish, and the finished product, is a thing of beauty that will last a lifetime”. “For every pair of skis I sell, I have two trees planted nearby as I want this process to have as little impact on the environment as possible, but also hope that, in years to come, I may be able to start harvesting those trees. Lonely Mountain skis cost from £750.